I. A Master’s degree with 55% marks (or an equivalent grade in a point-scale wherever the grading system is followed) in the concerned/ relevant/ allied subject from an Indian University or an equivalent degree from an accredited foreign University. II. Besides fulfilling the above qualifications, the candidates must have cleared the National Eligibility Test (NET) conducted by the UGC or the CSIR, or a similar test accredited by the UGC, like SLET/ SET. Candidates, who have been awarded a Ph.D. 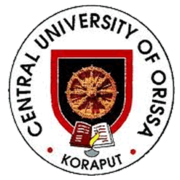 Degree in accordance with the University Grants Commission (Minimum Standards and Procedure for Award of M.Phil/ Ph.D. Degree) Regulations, 2009 amended from time to time as the case may be, shall be exempted from NET/ SLET/ SET. Eligible candidates may appear for interview along with duly filled application form in prescribed format and self-attested copies along with a copy of latest Curriculum Vitae, passport size photograph, one set of photocopies of testimonials and original testimonials in support of their age, educational qualification and experience and original documents for verification. 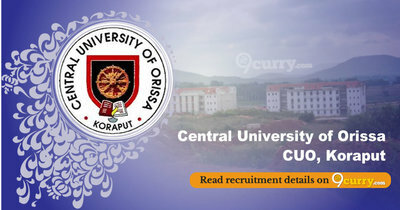 Venue Central University of Orissa, Landiguda, Koraput, Odisha – 764 021.